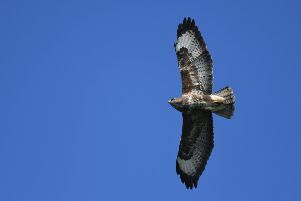 Comprehensive records of wildlife seen in the Sussex have earned two national award nominations. John Newnham, 68, from Worthing, is the database manager for the Sussex Ornithological Society, overseeing millions of records of observations from many sources. He has been shortlisted in the 2017 UK Awards for Biological Recording and Information Sharing, for both the Gilbert White Adult Award for terrestrial and freshwater wildlife and the David Robertson Adult Award for marine and coastal wildlife. John said: “I have been involved with the British Trust for Ornithology’s bird ringing scheme since a teenager and this initially encouraged and taught me to note and record accurately. About the same time, I started survey work and had a particular interest in recording visible migration of birds along the Sussex coast. “Once I had settled into a medical partnership in the late 1970s, I became involved in the organisation of county, and taking part in national, bird surveys. “By the mid-1980s I had started keeping my bird records on a micro-computer, an old Amstrad 6128, with a particularly emphasis on recording the daily counts of migrating water birds passing the local beaches. “This then led to me investigating and being involved in the setting up of a county database for bird records in Sussex, which went live in 1989. I remain as the database manager for the Sussex Ornithological Society and oversee the amalgamation of observations from many sources into one database, currently holding in excess of three million records. “These records are used to produce an annual county bird report and various other publications including county avifauna. Where allowed, these records are shared with the Sussex Biodiversity Record Centre and the records are therefore used to guide those involved in planning and conservation matters. “Whilst working in a busy medical practice, I found watching wildlife, and particular birds, very relaxing and seeing my records with all others translated into an annual report, a paper or map is most satisfying. The awards were started in 2015 and have been developed by the National Biodiversity Network, the National Forum for Biological Recording and the Biological Records Centre. The aim is to recognise and celebrate the outstanding contributions made to biological recording by adults and young people, which is helping to improve the understanding of the UK’s wildlife. Winners will be announced at a ceremony on November 16, during the National Biodiversity Network’s annual conference in Cardiff.